Schedule a residential inspection in Ocala, FL today! Whether you own a residential or commercial property in the Ocala, Florida area, you can count on expert assistance from Home Inspection of Marion County. Our family-operated company conducts thorough inspections, and we have years of industry expertise. We'll examine your home or business and report our findings promptly. Don't put the safety of your loved ones or employees at risk. Make sure your building is safe and habitable. To learn more about our process, call 352-237-1819 now. We'll create a detailed report and email it to you within 24 hours. Get the coverage you need from your insurance provider, and make sure your real estate investment will stand the test of time. Our local company offers more than just residential and commercial inspections - we provide WDO termite inspections through a licensed pest control company. We'll search for signs of termites and provide you with a same day report. Get rid of unwelcome pests before they have a chance to make your house their home. 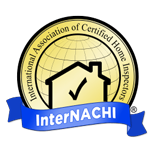 Make your home appealing to home buyers by offering your home pre-inspected! Identifying issues and having repairs made before buyers walk in the door can help you get your full asking price and may eliminate last minute negotiations and delays at closing. Get the most out of your new home warranty before it expires! 11th-month inspections help you find issues that need repair while still under your warranty period.